Snail Bee Mask Pack Review: Can You Really Trust This Product? 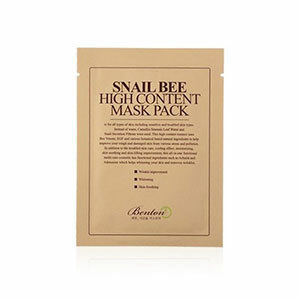 Snail Bee High Content Mask Pack claims to deeply nourish, hydrate and soothe irritated skin. 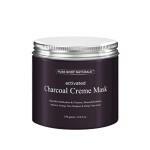 The mask is made using pure cotton that is soaked in a mixture of snail mucin and bee venom that have been proven to enhance the tone and texture of the skin. 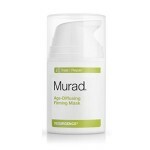 It also promises to strengthen the skin’s protective barrier. What can this product do for you? You will discover the answer in this Snail Bee Mask Pack Review! The mask is one of the products of Benton Cosmetics, a Korean skincare brand that is known for developing non-irritating skincare solutions and cosmetics. The company firmly sticks to their principle of creating small amounts of products to supply their clients with freshly made products. For best results, carefully unfold the Snail Bee High Content Mask Pack after removing it from the packet then smooth it over your face. Avoid the eye and lip area. Wear the mask for 15 to 20 minutes. Pat the leftover essence into the skin to facilitate absorption. 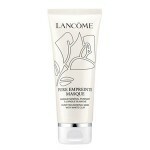 Use the mask only after cleansing and toning the skin. A box of 10 masks costs USD 20 and is sold in various third-party retailer sites online. Camella Sinensis Leaf Water: Rich in antioxidants, this water can deliver anti-aging and anti-inflammatory benefits to the skin. Snail Secretion Filtrate: This is the hottest Korean skincare ingredient as of now and is known for its ability to nourish and protect the skin as well as fade acne scars, wrinkles, and dark spots. Bee Venom: This promotes good blood circulation which can plump and firm the skin. Willow Bark Extract: This is a natural exfoliant that can enhance the skin’s texture. It is free of chemical coloring and fragrance. 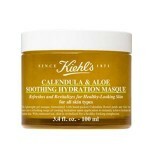 This is recommended for all types of skin, especially acne-prone skin. Many users claim that the product did not make any difference in their skin tone. There are no clinical studies that can back up the claim of the products. Only a few retailer sites carry this item. 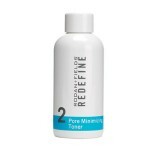 Snail filtrate is one of the most commonly used ingredients by Korean skincare brands, and it has been advertised to help improve the skin tone and fade dark spots and hyperpigmentation. Unfortunately, many users claim that it did not make any difference in their skin tone, meaning it failed to deliver its claims. We recommend that you choose a face mask that has better reviews on the market. No information about the return policy of Snail Bee High Content MaskPack is available on the site. If you plan on buying it from a reseller site, the purchase will be covered by the seller’s return policy so you should ask the reseller of the terms of their policy, if they have any.